At winter graduations 2017 Helen Ross received her PhD in Social and Policy Sciences after just four years, despite studying part-time and being dyslexic. 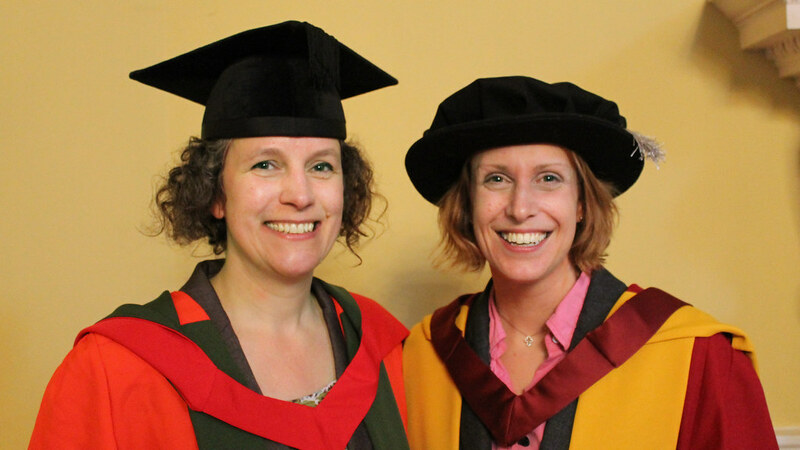 At winter graduations 2017 Helen Ross received her doctorate in Social and Policy Sciences having completed her PhD in just four years, despite studying part-time and being dyslexic. It completed a remarkable journey for Helen, a former maths and French teacher who decided to undertake a PhD after becoming disillusioned with Government education policy. She even found time to publish in the British Journal of Special Education and land a job as a head special educational needs co-ordinator before completing her PhD. Helen, 36, had originally studied for a degree in mechanical engineering, and then moved into teaching at a secondary school in Barnsley. However she found that the expectations placed on many pupils by government policy were unrealistic given their backgrounds and educational needs. She said: “The literacy levels the kids were expected to achieve were just unreasonable, in an area where the average adults were reading at level 5, or a Year 8 level. After doing some reading into the subject Helen decided to apply to do a doctorate looking at how teachers, pupils and parents are affected by current special educational needs policy, despite not having a background in social sciences. While working three days a week as a tutor and then as a SEN co-ordinator at Stonar School, Helen spent two days a week in a secondary school in Wiltshire speaking to teachers about their provision for special needs, the pressures on resourcing and time and how much influence they feel they have on how children are taught. She also spoke to parents, and children with special needs about how they managed their needs and dealt with schoolwork, how it impacted on them and to what extent they felt able to ask questions, and get involved in influencing special educational needs teaching and policy. Despite SEN policy being billed as ‘child centred’ she found very few children or parents feel like they can influence or address policy, with teachers feeling under pressure from reduced resources and budgets and constrained by policy. She said: “I’m so, so proud to have finished. Come hell or high water every day I was working on my PhD I made sure I did a full day’s work, and then managed to do a lot of catching up in the school holidays. Now that she has achieved her goal of completing her PhD, and has already become head of learning support at Stonar School, she’s thinking about her next steps. Of particular interest is the idea of working in the third sector to deliver SEN support at low cost. In the meantime she’s already studying for another postgraduate qualification through the school where she works.